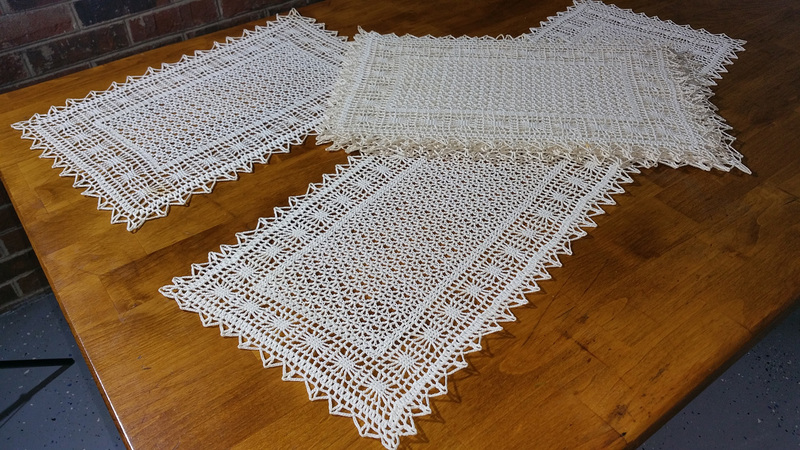 I'm calling this a set of 6 crocheted place mats; there are actually 7 but 1 has a couple of stains and I didn't try washing these because they're very heavily starched. 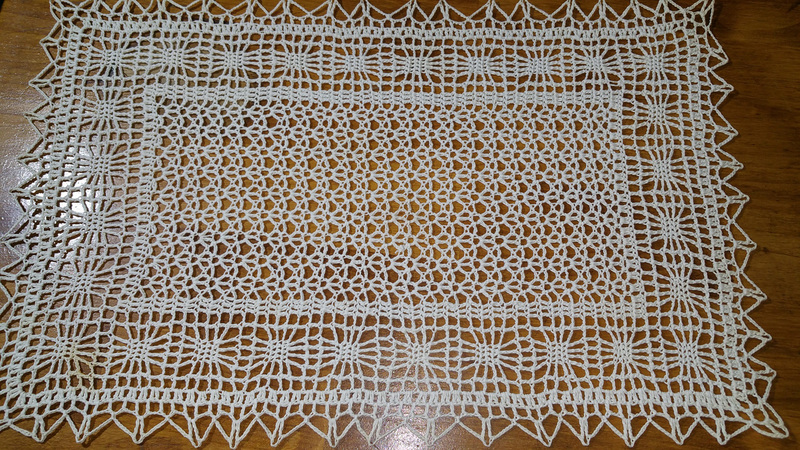 There's a matching table runner that's 35" x 11". 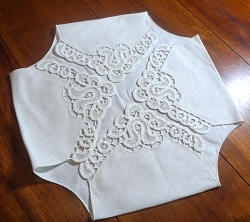 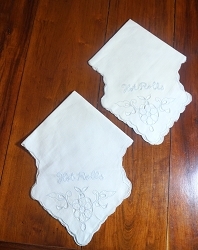 They're a darker off-white tea stain color and will be great for any formal or informal table setting.